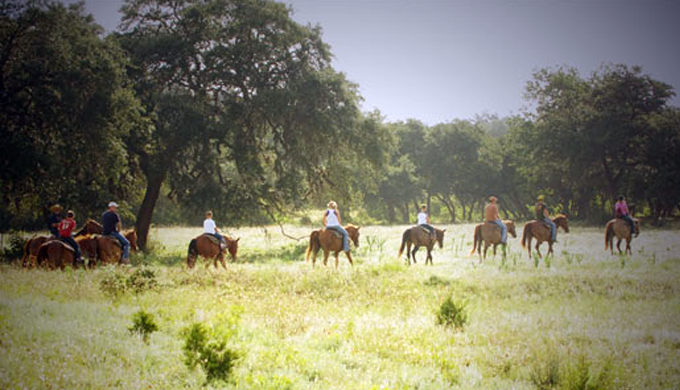 The Texas Hill Country offers visitors various ways to enjoy the cowboy life. The area’s dude ranches and guest ranches are known for their hospitality and fun activities, and they attract visitors from all walks of life from around the world. 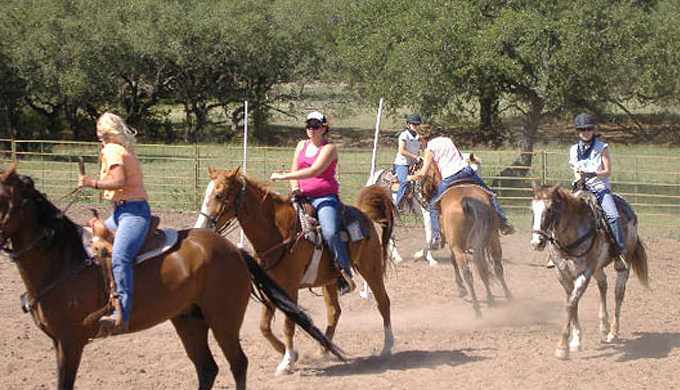 Dude ranches usually have organized activities, including guided horseback riding tours and wrangling demonstrations and classes. 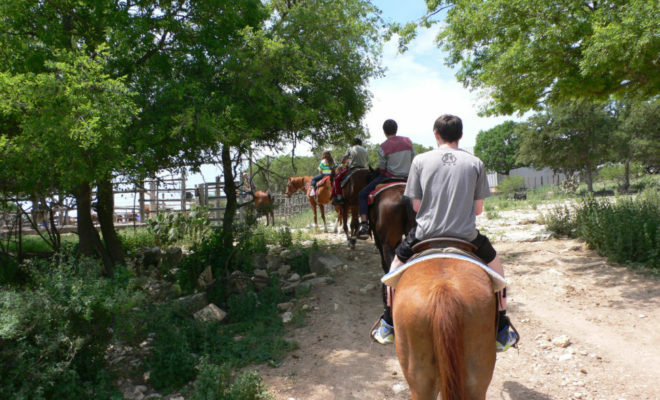 Guest ranches have less organized activities, so visitors can make their own plans in a quiet atmosphere. Bandera is the “Cowboy Capital of the World” and boasts more guest and dude ranches than would fit on this list. Each ranch listed below has its own personality and activities, so there’s something for everyone. Dixie Dude Ranch was founded over 75 years ago and is a real, working ranch, which raises longhorn cattle, pigs and Spanish goats. The cowboys who work the horses on the ranch also train for and compete in rodeos. 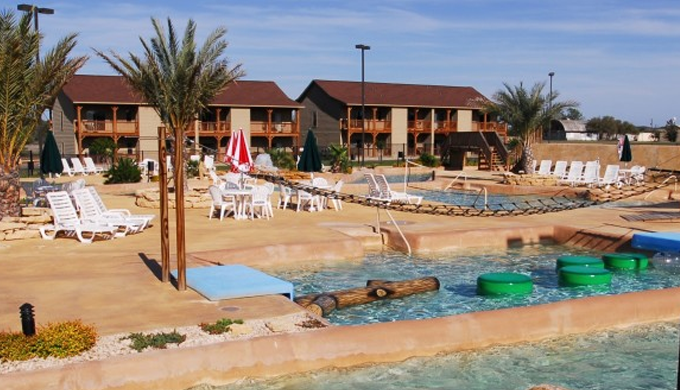 The facilities include an arena for lessons, pool, hot tub, playground, basketball, volleyball, and hiking and nature trails. Guests can enjoy horseback riding, fishing, bonfires, hayrides and Western entertainment. They can also hunt for fossils or arrowheads or explore the century-old barn and Range War Cemetery. The 725-acre dude ranch includes 20 separate units within duplex cabins, cottages, lodge rooms and a two-story bunkhouse. This 86-room, western-style resort is a guest ranch, rather than a working ranch. It does, however, offer horseback riding and lessons. The head wrangler, Tawni Solise, is a rodeo circuit star and has been with the Ranch for over 15 years. Other activities include fishing, hayrides, swimming, tennis, basketball and an 18-hole, championship golf course and driving range. This family-friendly ranch has a petting corral, playground, three-acre water park, as well as a campfire and s’mores every night.